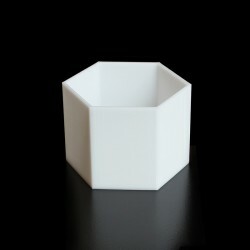 A planter with a hexagonal design. Ideal for cacti, succulents and other small plants. Being hexagonal these planters can be grouped together.